Sago palms have become very popular landscape plants in modern, classy Indian gardens. But most people do not realize that these are not palms at all, despite the name and appearance. Sago palm is actually a cycad. Cycads are a group of plants that are very primitive in their origins. Fossils have been found on almost every continent on the planet. 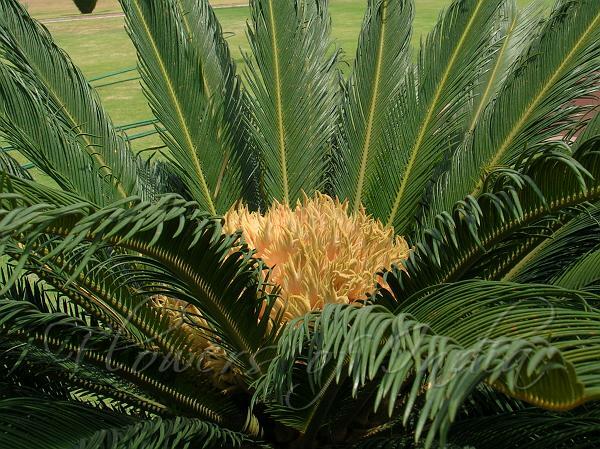 It is often stated that cycads have evolved little since the days of the dinosaurs. There are species that seemed to show little evolution over millions of years. Therefore as a group, cycads are often referred to as “living fossils”. Sago Palms have erect, sturdy trunks that are typically about one to two feet in diameter, sometimes wider and can grow into very old specimens with twenty feet of trunk. The leaves are a dark olive green and about three to four feet long when the plants are of a reproductive age. Sago palms are very slow growing plants. So, mostly one finds only young plants which have not grown a stem and look like a rosette of leaves coming from a stem near the ground. 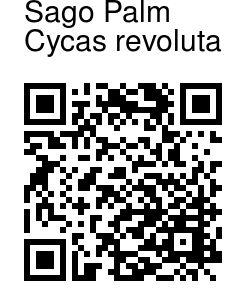 The name revoluta was given because of the revolute (to curl back) nature of the leaflets; the edges roll under the leaflet. Photographed in Millenium Park, New Delhi.